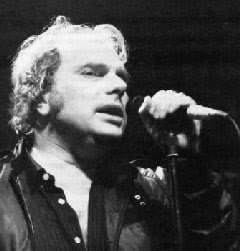 Van Morrison is a legendary artist that creates regardless of time, place or perception. The music he conjures and shapes is immune to current fads, production values or media dissection. 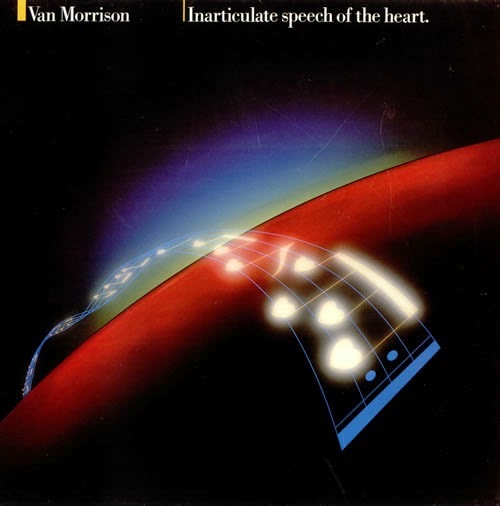 The Van LP spinning in the 'rock room' today is 1983’s Inarticulate Speech of the Heart. This under-appreciated record communicates on multiple and diverse levels with the listener. The LP’s title is an allusion to the act of communicating without speaking and a commentary on the act of prayer. The album received mixed reviews when mindless critics compared it to other standards of Morrison’s discography; the ‘rock room’ finds the record the perfect collection for candlelight introspection, or as a soundtrack for quiet, pale dawn morning coffee and reflection. The imagery is succinct, the instrumentation tasteful and the melodies haunting. The record breathes the warm air of a lover’s breath and elicits the the comfort of home in spite of the possibly chilly touch of synthesizers. 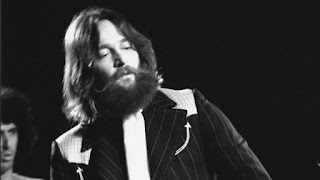 Morrison stays relatively restrained through the records two sides, leaving his rock and roll draped over the chair in the corner and bearing his naked truthful soul. The record remains a slight departure from what is expected from Morrison, and those departures usually will lead to the best art. Four of the eleven tracks on the recording are instrumentals, an interesting display for Morrison. This LP was his final collection for his record label Warner Brothers, but that was not the reason for the instrumental movements. Keeping with the theme contained within the title of the record, Morrison uses the tracks to search for differing ways of expression and emotional communication not based in how that communication is articulated. Instrumentals can offer a completely different way of communicating with the listener. In the case of this record, Morrison asserts the themes of identity, memory, family heritage and love through multiple methods of sonic dissemination. The album begins with the atmospheric yet funky ‘Higher than the World’. Morrison’s singing is restrained throughout intimate the verses before breaking through the clouds with a excited recitation of the chorus. The keyboards sway like trade winds, while a clean muted guitar lends the tune it’s brittle funkiness.The tune is one of Morrison’s finest melodic statements of the era and a conglomerate of the elements that will make up the rest of the record. The tasteful keyboards quietly begin the next song, ‘Connswater’ on a hazy drift, before suddenly galloping across green rolling landscapes of Ireland with a joyous Irish statement. Big percussive drums take a turnaround mid song leaving the purely Irish jig of the instrumental verses to bob along buoyantly outside the darkened waters edge, An allusion to his future work with the Chieftains’, this song is a jumpy and overt instrumental tribute to Morrison’s heritage. ‘River of a Time’ follows and is a song that contains minimalist lyrics but maximum imagery, propagated by a churning arrangement reminiscent to these ears as something that would possibly come from Dylan’s 1989 LP Oh Mercy. The song is an invitation to a spiritual congregation on the ‘River of Time’ using nothing but your own ‘Heart and Soul’. A personal favorite off of the record, Van features on piano and combines the perfect portions of lyric, melody and mood to invoke introspection through this emotive and classic piece. The second instrumental of the LP, ‘Celtic Swing’ sandwiches ‘River of Time’ and starts off in the agitated mists of swirling horns and synths before emerging with a maneuvering drum that does exactly what the title implies. This song continues through current times to remain a standard in Morrison's set lists, a fitting display of music and heritage for Morrison. Closing the first side of the record, ‘Rave On John Donne’ follows a spoken word, rap, growl by Morrison that becomes a smooth croon by the crux of the tune. The lyrics immortalize a litany of writers and intellectuals and Morrison’s invocation to “Rave On’. The song dissipates into a drumless and weightless musical contemplation toward its conclusion. An epic song that can be interpreted in differing ways, again dependent on your view. Side two begins, the album’s title track appears with a ‘No. 1' added to the end of the title indicating a continuation later on the side. The song is developed along the edges like a black room photo, slowly coming into focus. The melodic mantra undulates with a woman’s wordless vocal intonations appearing as manfesting specters. The percussive piano in which the song settles on continuously folds over on itself until big drums emerge, encouraging the songs wings from earth into flight. ‘Irish Heartbeat’ follows, the song was recorded twice by Morrison once for Inarticulate Speech of the Heart and later on the 1988 release with the ‘Chieftains’, Irish Heartbeat. A song about faith, family and heritage, the song is inseparable from its creator; they are one and the same. Acoustic guitars churn, the melody feels traditional and familiar, Van's is voice thick and rich. If you are a fan of Van you know that this song pretty much sums it all up. Morrison's singing during the fade out is dramatically inspirational as he ‘da, da, da’s’ his way until the tape trails to silence. ‘The Street Only Knew Your Name’ is the first injection of R and B on the record. The song brings out the ‘Street Choir’ as sweet backing vocals punctuate Morrison’s first ‘all out’ vocal attack of the LP. Placed perfectly in the track listing, the tune elicits alienation from someone who realizes that you can’t always return home no matter the circumstance. The song spotlights quintessential Van with a big band and taps some rock and roll shoes. Morrison blows some highlight horn on the song and his first open throat vocal blasts of the record initiate magic. 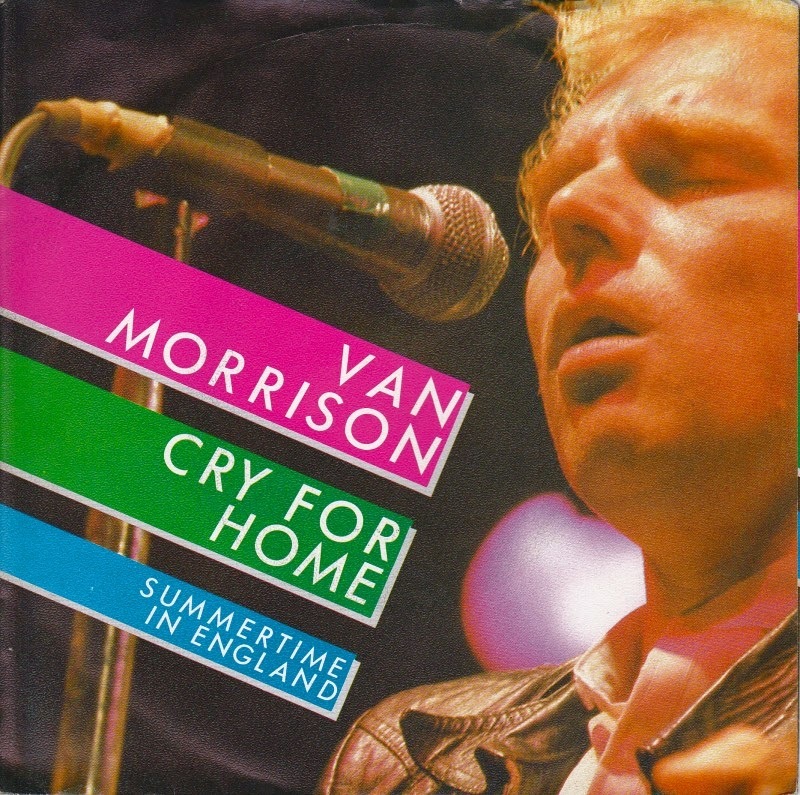 ‘Cry for Home’ settles into a comfortable groove, a response to the previous song, comforting with the belief that there will be no more worry when you ‘hear the cry from home’. The instrumentation stays true to the record with clean plucky guitar tapping on the wide swath of synthesizer bedding. The chorus is of sing-along quality leaving me with a certain aspect of holiness especially when Van invites the chorus to take another round. Morrison sings with a bird on his shoulder in the guise of a lofty flute. Beautiful. The last but one song on the record comes as a second variation on a theme with ‘Inarticulate Speech of the Heart No. 2’. This segment of song uses the pre-scetched scene and expands on it through lyrical repetition and subtle melody explorations. Enveloped piano and keyboards develop subtle drifting phrases that shoot off of the central rhythm in sparkling flares. Morrison is indeed a 'soul in wonder' as he states confidently with a vibrant chorus behind him. Van also offers a few transparent quotes from his saxophone to swim amongst the musical watercolors. The album closes with the final instrumental and possibly best one of the collection, ‘September Nights’. The light jazz of the piano/bass relationship initiates the almost drumless melody forward. A blue chorused acoustic guitar quotes a melody while Morrison and his singers moan in passionate response. The song reveals it’s insides when at first a stunning grand piano takes a solo, followed by Morrison becoming involved with a delicate horn/vocal call and response. The song becomes a classic book, subject to interpretation and reflection when its spine is cracked. At first listen an odd choice as a closing number, but similarly to the entire record well placed when taken with its surrounding context. Van Morrison’s 1983 record Inarticulate Speech of the Heart hides clandestinely in the impressive volumes of Morrison’s diverse and influential catalog. The album features all of Morrison’s greatest strengths to wonderful effect through honest and sometimes experimental compositions. As an aside, in my opinion the LP is also a somewhat rare case of an artist using the production values of the early 1980’s to some of their greatest strengths. In addition, one of his most enduring songs sits snugly on the ‘B’ side of the record ready to be discovered by a hopeful future music lover when searching out classic vinyl records. The rest of the collection features soulful recitations of pure Van Morrison songwriting and spectacular instrumental prowess. A divine record of note that if you know well you should revisit and if you haven’t heard it, search it out now. Great read, great album. Thanks!